Orders are created in WooCommerce when a customer completes the checkout process. 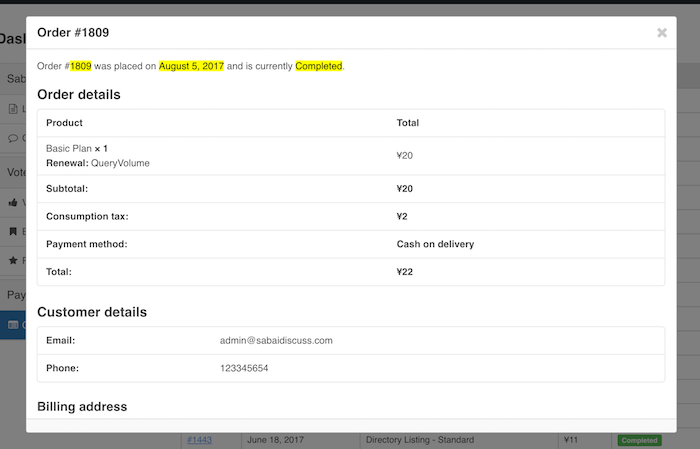 For more details on orders in WooCommerce, see https://docs.woocommerce.com/document/managing-orders/. There are 2 ways to view orders in Directories Pro. Click Payment -> Order History link in the side panel. Details of each order can be viewed by clicking the Order ID. When editing a listing in the backend dashboard, a metabox labeled Orders can be found which contains a list of all orders for the listing. Clicking the order ID will take you to the order detail page of WooCommerce in the backend. 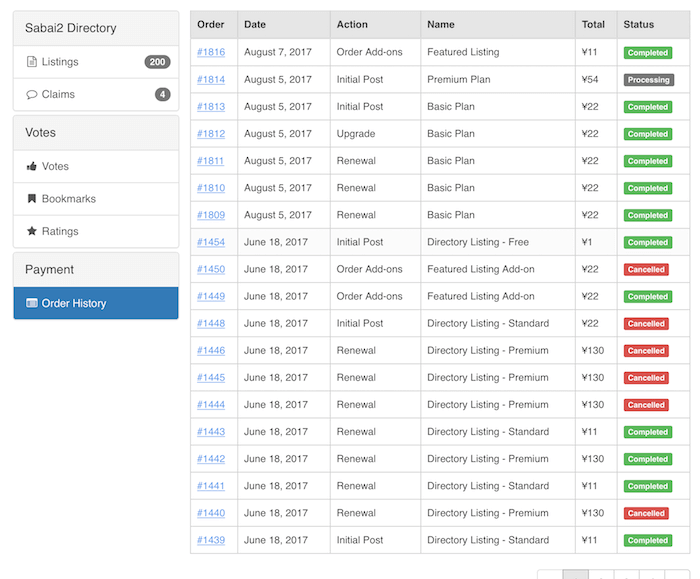 When the status of an order for a listing is updated to Refunded, Failed, or Cancelled in WooCommerce, all the features currently applied to the listing are unapplied if the order is for a Base plan. In addition, the post status of the listing is reverted back to the previous status that was set before the order was marked as Completed. The payment plan currently assigned is also unassigned and reverted back to the previous payment plan if there was any. If there was no previous payment plan, then the listing will have no payment plan associated and default features will be applied. If the order is for an Add-on plan, the features that have been applied to the listing with the add-on plan are fully unapplied.